Let’s talk about how ICO companies entirely lawfully pressure the price of their tokens. 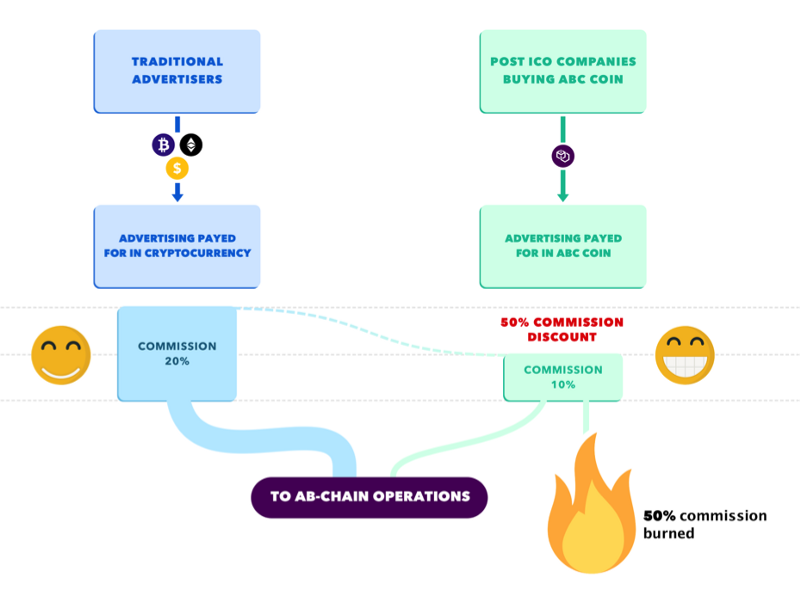 We will use AB-CHAIN’s mechanism as an example. When the system executes a transaction in tokens, it charges a certain commission. Taking part of the fee and “burning” it, decreases the cumulative amount of all tokens by the number of tokens burned. Since the overall stock does not change, the price of each token increases. What happens if all existing RTB tokens are burned? The RTB Token has 18 decimal points and can be divided. We anticipate that the network will have enough RTB coins to function for at least 5 years. When the total number of RTB tokens decreases to a level, below which risks of service failures are present, a new token will be created. We will then offer to exchange all remaining RTB tokens for the token that was recently issued.